KAMPALA (FIBA 3×3 Africa Cup 2018) – The FIBA 3×3 Africa Cup 2018 could not happen at a better time for Ugandan youngster Jamila Nansikombi than from November 9-11 in Lome, Togo. 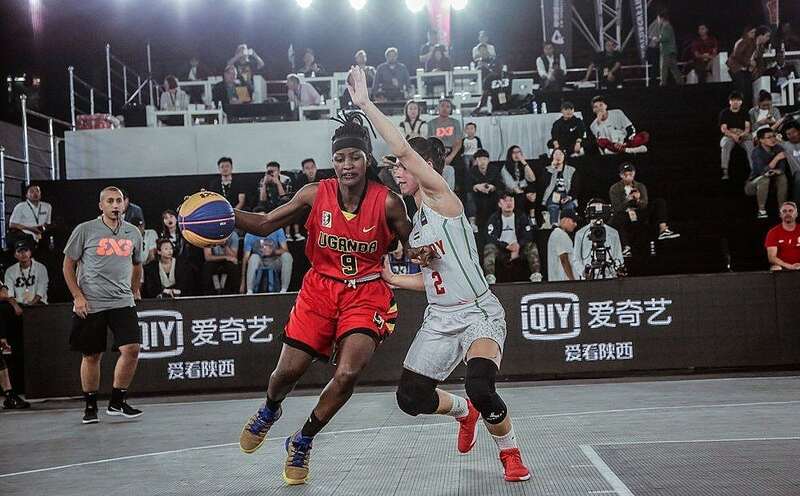 The 21-year old, who is fresh from featuring for Uganda as the only African team at the FIBA 3×3 U23 World Cup in China, has over the past one year moulded herself into the face of 3×3 women’s basketball in Uganda. Quick on her feet, super athletic and boasting of an incredible game reading ability, ‘Zama’ as she is commonly known in the basketball fraternity at home, has mastered the art that defines the shorter version of the hoops game. Zama, who also featured at the FIBA 3×3 World Cup 2018 in Philippines this June, was the top scorer at the FIBA 3×3 Africa Cup 2017 in Togo, an achievement that has since shaped her desire to seek more success at the international stage. “I must say that 3×3 basketball came into my life at the right time. I have played very few games on the 5×5 national team ever since I left high school so clearly what would I do without 3×3. It has availed more playing opportunities for me,” she explained. With eyes on the continental showpiece that has attracted a total of 12 teams including Benin, Burkina Faso, Cape Verde, Côte d’Ivoire, Democratic Republic of the Congo, Egypt, Ghana, Mali, Niger, Nigeria, Togo and Uganda, Zama has shifted her focus to the West African city of Lome. She admits that replicating her performance from last year will not be a walk in the park but she is up for the challenge. An impressive 34 of her 44 points at last year’s edition came from behind the arc and indeed her shooting prowess will once again be tested by the best in the business. Zama is a product of the Fast Track Program initiated by FIBA to develop a longterm performance plan and prepare players for the Tokyo 2020 Olympic Games where 3×3 basketball will make its debut appearance.